Rumor: Transformers Animated to end after season three? New images have surfaced of the packaging for Voyager-size Optimus Prime and Starscream for the upcoming “Revenge of the Fallen” product line. See them here. IDW editor, Denton Tipton, reports on his blog that fan favorite Transformers artist, Don Figueroa, will be returning to Transformers comics as the artist of issue #3 of the RotF prequel comic, Transformers Defiance. Writer, Chris Mowry, has also posted an article on his blog dicussing the Defiance story and his excitement to have Don on the project. Yahoo! 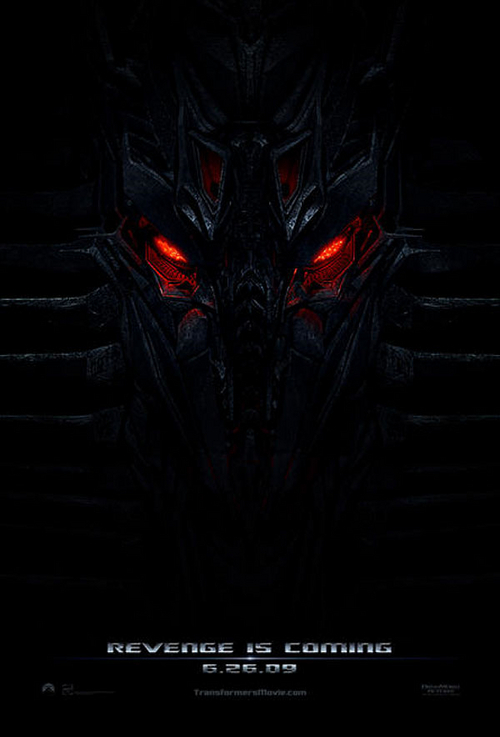 has posted what looks to be the first Transformers: Revenge of the Fallen movie poster. Also included in their image gallery is a few other images previously shown in USA Today and Empire magazine.